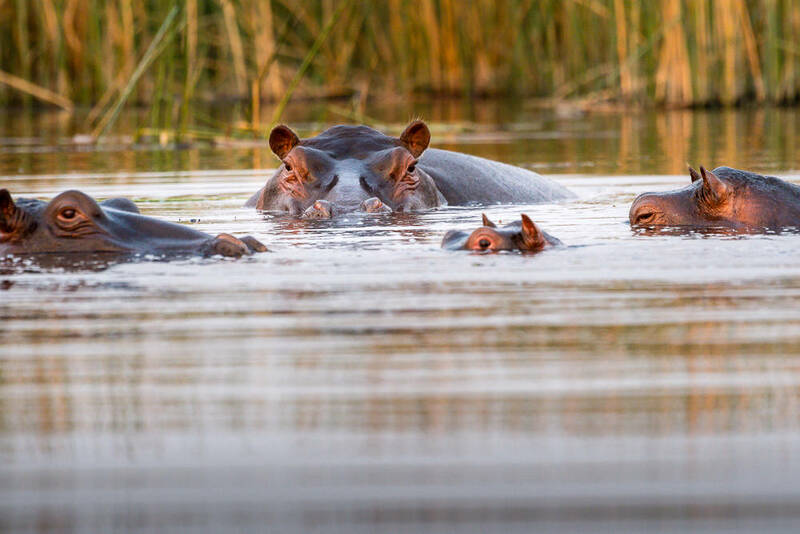 Visit Botswana’s Okavango Delta like we did in September 2018, and you’d think the country is rich in water resources. The trip was filled with days full of fording streams in safari vehicles, riding in long canoes, and having “sundowners” floating among Botswana’s flora and fauna. My favorite activity, at a safe distance, was watching pods of hippos. They are a grumpy sort and the always seem to have their eye on you. arrange the best guides ahead of time to make sure we saw all the animals but also heard some interesting stories as well. oversight, the three countries formed the Permanent Okavango River Basin Water Commission. Renewed in 2007, the countries regularly meet and agree on how to proportion use of the Okavango, monitor its use, and implement pollution protective measures. That was surprising from my naive point of view. Go figure, three African countries working together to create a water conservation success story, and sustaining that relationship for over 24 years. The availability of water seems to be in the news more and more. Before our trip we were worried that our stop in Cape Town would be challenged by water rationing issues. I tell you, the more I learn about what it takes to promote the availability of clean water, the more interesting I find it. I think this is going to be an interesting area to explore with my photography efforts here in Maryland, Washington DC and Virginia.